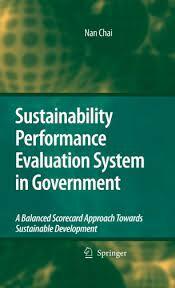 Sustainable Development and Government research papers discuss this new concept that is being widely used by the government and many organizations around the world. This is a topic suggestion on Sustainable Development and Government from Paper Masters. Use this topic or order a custom research paper, written exactly how you need it to be. Sustainable development is rather a new concept that has become widely used by governments and non-governmental organizations around the world, even though it is a fairly new concept and there is no clear definition for it. The most frequently-used quote is by the Brundtland Report Sustainable development is development that meets the needs of the present without compromising the ability of future generations to meet their own needs. The main focus of sustainable development is on improving the well being for all of the Earth's citizens without increasing the use of natural resources in a way where the environment cannot provide such resources for generations to come. The main components of sustainable development are economic, social, and environmental and most researchers focus on studying the relationship between these components. There are major implications in this for systems engineering and systems management. The concept of sustainable development requires new innovative ways that would ensure that institutions and individuals function in ways to support the present and meet the challenges of the future. Sustainable development is also about equity. This means that in order for development to continue indefinitely, the interest of different individuals living around the world should be taken into account now and in the future. Therefore, sustainable development considers the comprehensive objectives and equal opportunities for all people living on this earth in order to ensure their well-being. Poverty and war are considered the most significant problems facing every country in the world as they affect sustainable development. They both have negative effects on sustainable development, War, as well as poverty, is inherently destructive of all economic as well as social and environmental goals of development? At the center of sustainable development is the human being. The Rio Declaration, adopted by the United Nations Conference on Environment and Development in 1992 (the Earth Summit, held in Rio de Janeiro, Brazil), describes the human being as the main concern of sustainable development; Human beings are at the center of concern for sustainable development. They are entitled to a healthy and productive life in harmony with nature. Paper Masters writes custom research papers on Sustainable Development and Government and discuss this new concept that is being widely used by the government and many organizations around the world.